WPTV Meteorologist Felicia Combs Bio: Married Or Casually Dating? Home » Media » WPTV Meteorologist Felicia Combs Bio: Married Or Casually Dating? 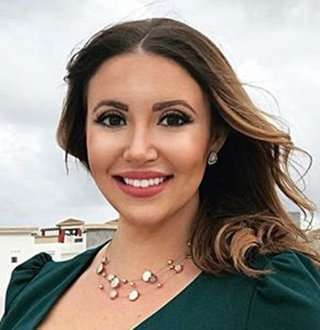 American Meteorologist Felicia Combs is very secretive about her romantic life but doesn’t hesitate on sharing tweets and posts on the topic of love at all. However, her tweets are very mysterious which have kept all her fans confused about whether she is really in a relationship or all her posts are just for fun! Virginia native Felicia Combs is an American weather forecaster currently working for WPTV/WFLX. She has seven years of experience covering weather forecasts across the country. Previously, she has worked as a meteorologist for KYTV and WGXA as well. Born on 27 May in Virginia, Felicia, Combs spent her young life in Central Florida. She graduated with a Bachelor’s of Arts in Journalism from the University of Central Florida. Later she also attended Mississippi State University where she graduated with a degree in Bachelor’s of Science in Meteorology. Besides this information, not much has been revealed about the identity of her parents, so her ethnicity and the descent she belongs to is an absolute mystery. During her college days, she interned for various news stations including Orlando based ABC, Fox affiliates, WFTV and WOFL. Her professional career started in the state of Georgia as a WGXA weather anchor and weekday morning forecaster for two & a half year. Next, she moved on to cover the extreme weather of Ozark in Missouri at KY3 for two years. With a National Weather Association seal of approval, she is now a meteorologist for WPTV NewsChannel and WFLX FOX29. You can catch her on WPTV NewsChannel 5 from 4:30-7 a.m and on WFLX FOX29 from 7-9 a.m.
As a meteorologist for WPTV, she earns an estimated average salary of $52K. Not just her anchoring skills, the Virginian beauty has also impressed the audience with her mesmerizing body. Her curvy figure has everyone swooning over her beauty and don’t we all want to know the secret behind it? Well in 2016, she revealed in a tweet that she had been following a Whole30 diet. A Whole30 diet is a short-term nutrition reset, which helps to put an end to unhealthy eating habits and restore metabolism to balance the immune system and heal the digestive tract. Sounds awesome! Since then she has been a fan of the Whole30 program and followed the diet religiously. And the results of the diet can be seen in her body as well. She looks much healthier, and we can observe a slight weight loss too! Is Felicia Combs Married or Single? Well regarding her love life, besides the tweets and posts she makes on love and relationship, there is no other source of details at all. Find Out: Stephanie Abrams Status After Engaged With Fiance; Married Or Not? Her tweets are absolutely mysterious and keep us wondering if she really is married and has a husband or all of her tweets are just a mere sarcasm to the media. In Valentine’s day of 2018, when she was asked by a fan if she has a special someone, she replied back with ‘I have the most special Valentine’ via Twitter. This definitely hinted that she might be dating someone. However, the speculations about her possible husband-to-be were put into rest in July of 2018 when she posted a meme-y tweet. Well, this made it clear that she is single. And seems like she is in no hurry in getting married and having a husband. Rare Facts About ABC News' Janai Norman Bio, Parents & Relationship Revealed! Cheryl Scott Engaged To Boyfriend, But Why Did She Black Out? CNBC Contessa Brewer Bio Reveals Funny Husband; Do Fans Know Him?